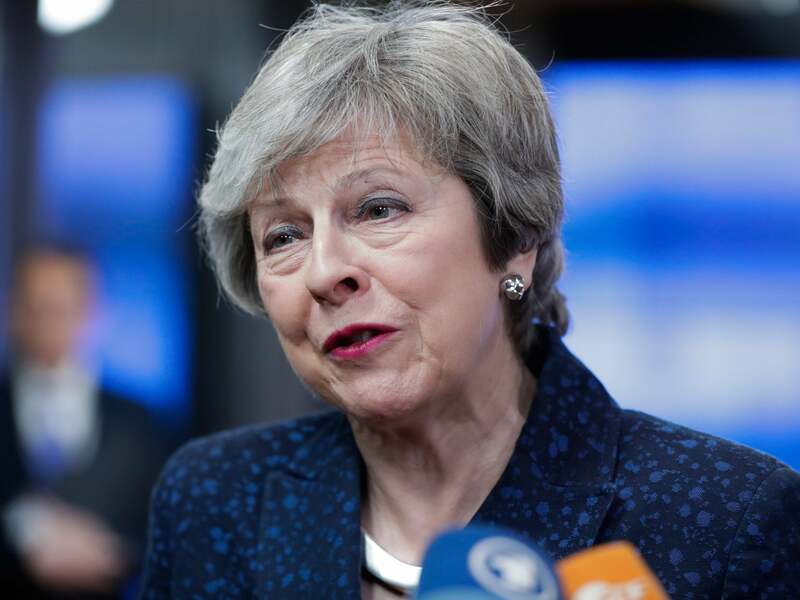 Theresa May will offer MPs another meaningful vote if no Brexit deal is agreed by the end of February, as she struggles to secure last-minute changes to her EU withdrawal agreement. Communities secretary James Brokenshire confirmed the prime minister would give the Commons a second crunch vote before February 27, allowing her more time to hammer out some sort of compromise after MPs overwhelmingly rejected her plan last month. It comes as MPs were gearing up for a Valentine's Day showdown if Ms May cannot present a revised deal to parliament by Wednesday, which would trigger a new round of votes on the Brexit process. Sir Keir Starmer said Labour would stop the prime minister "running down the clock" to exit day next month by drafting an amendment to compel her to offer a vote by the end of the month. And Labour MPs Peter Kyle and Phil Wilson were poised to launch a new push for a second referendum, writing in The Independent: "It would also be reckless to accept the withdrawal agreement without the approval of the British people." Both bids are expected to be among the range of amendments tabled for votes on Valentine's Day. Mr Brokenshire told the Andrew Marr Show: "We obviously have this week a debate in parliament, a motion coming down - a substantive motion that the government will put forward - but I think it is also important to stress that the government will commit that if the meaningful vote, in other words the deal coming back, has not happened by February 27 then we would allow a further motion - votable in parliament - to take place to give that sense of assurance as to the process moving forward as well in parallel." Challenged on whether there would be a vote on the deal this month, he said: "If the meaningful vote has not happened, so in other words things have not concluded, then parliament would have that further opportunity by no later than February 27. The shadow Brexit secretary said Labour was determined to act to prevent the prime minister from taking Britain to the brink of a no-deal Brexit in order to get MPs to back her deal. He accused Ms May of "pretending to make progress" and said she intends to return to parliament after a crunch European Council summit the week before Brexit and offer MPs a "binary choice" - her deal or no deal. Meanwhile, Labour backbenchers Mr Kyle and Mr Wilson have come up with a plan to back Ms May's deal if she offers a referendum once it passes through parliament. Writing for The Independent, the pair said: "Even if parliament decides it was, we believe that to leave the decision to 650 MPs and the unelected House of Lords smacks of the accusation of elitism levelled against politicians during the referendum campaign. "The right and proper step to take is for MPs and the Lords to approve the prime minister’s deal followed by a confirmatory vote of the British people. "We believe this process started with the people and should end with the people." It comes after Labour leader Jeremy Corbyn wrote to Ms May setting out his party's terms for backing a Brexit deal, which include backing a customs union with the EU. She told Sophy Ridge On Sunday: "I appreciate Jeremy Corbyn has come to the table but the reality is what he is proposing does not deliver on what we want as a country." Asked if she could stay in office if the government backed a customs union, she said: "I absolutely do not think that should be our policy."